Based on reviews from 1,807 users. Learn how our rankings work or see our guide to Tretorn sneakers. Updated Apr 2019. Swedish brand Tretorn made a name for itself in Europe during the tail end of the Industrial Revolution by being innovative and diverse. It had its early start as a tire maker before Tretorn sneakers became top footwear options around the world. Through it all, the brand has managed to stay authentic, with the same Swedish design principles continuing to guide it until today. Meanwhile, in the lifestyle category, Tretorn sneakers are well-known. Some of its on-court shoes have transitioned into street style essentials for men and women owing to their simple and functional appeal. Its reputation as a high-quality rubber manufacturer has transcended into the brand’s designs for many generations to come. 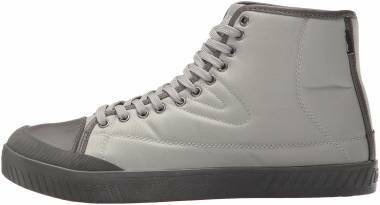 Below are the Tretorn sneakers for lifestyle use that have become popular over the years. They can be classified according to height: low-top, mid-top, and high-top. Ever since the brand introduced the Nylite, Tretorn sneakers have been known for having a sophisticated and preppy appeal. Its lifestyle shoes for men and women reflect the same aesthetic that first made it famous all over Europe and around the world. Here are some of the most noteworthy Tretorn sneakers over the years. Most Tretorn sneakers are available in low-top variations, as this is the type commonly used for tennis and casual activities. The brand’s much-celebrated and recreated model, the Nylite, continues to be a popular low-top model, along with several others. This model became the blueprint for a lot of Tretorn sneakers. First released in 1964, this canvas tennis shoe came to be regarded as the first luxury sports shoe in the world. Swedish world champion Bjorn Borg helped immortalize the shoe when he wore it on and off the tennis court. By the 1980s, the sneaker was included in The Official Preppy Handbook, catapulting it to global fame. Many celebrities were seen rocking it, such as Jackie Kennedy Onassis and Farah Fawcett. Swedish minimalist aesthetics can be seen all over the shoe, creating an attractive and no-fuss flair. Inspired by an iconic 1930s tennis shoe silhouette, the Tournament has the look of a classic casual sneaker, complete with the ribbed toe detailing. It offers comfort and a smooth appeal, making it look laidback and effortless. It has since become a fall season favorite from the Tretorn sneakers catalog. A break from the design of most Tretorn sneakers, the brand entered the slip-on game with the Bella shoe. This model functions as platform footwear that one can just easily slide on for any activity. It’s simple, straightforward, and made of leather with the iconic gullwing stitched on the sides. Another low-top platform sneaker from Tretorn, the Blaire is the epitome of form and function. It has a bold suede construction along with satin detailing on the upper, ensuring that it looks more than just an ordinary shoe. Featuring a metallic upper, the Camden has a minimalist yet playful flair that appeals to modern fashion. It needs no other embellishments besides the stitched-in gullwing on the sides, proving that a subtle yet distinctive design can win over any elaborate look. Tretorn creates another version of the strap-on sneaker with the Carry shoe. It has three hook-and-loop Velcro straps to secure the fit, while the smooth leather upper ensures a timeless look for any day. An entry into the all-white Tretorn sneakers trend, the Racket H Low Canvas features a characteristic tennis silhouette that makes it look timeless and elegant. It’s completely free of any extra details, creating a neat shoe with a very relaxed yet preppy appeal. Mid-cut Tretorn sneakers are much rarer than low and high-tops but are still offered by the brand. These provide adequate support for the ankle without restricting it too much. 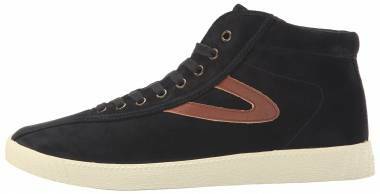 The following are some of the noteworthy mid-tops from the brand. Made with a high-performing Gore-Tex waterproof construction, the mid-cut Skymra proves that one can be stylish in any weather. The classic details of Tretorn sneakers can be found all over the model, while its smooth silhouette makes it suitable for creating many looks for urban fashion. A tennis sneaker designed for the streets, the Seksti Mid features a striking detail: a zip-up on the side which not only offers convenience but also functions as a cool visual factor. Its insole is made with Swedish Massage Teknology, which provides a more comfortable feel. Contrast lacing and D-ring eyelets ensure that the mid-top Dante sneaker doesn’t go unnoticed. The rest of the shoe is minimally styled, yet it has a distinct sporty appeal that’s perfect for different lifestyle activities. Canvas and rubber are combined in the unique upper of the mid-cut Gill shoe. Rope boot laces complete the weatherized look. It’s a rain boot with the look and function of a sneaker, proving how innovative Tretorn sneakers can be. 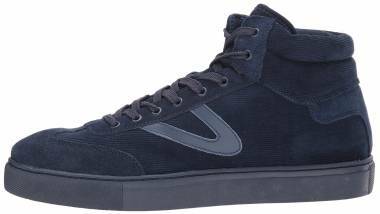 With excellent protection and support for the ankle, high-top Tretorn sneakers are in demand. The brand offers high-top variations for some of its most significant models so that users can choose which height they prefer. This model is distinctive among Tretorn sneakers because of one key feature: the terrycloth fabric that commonly lines the inside of a shoe is brought to the outside of this sneaker, forming the upper material. The result is an unforgettable shoe that is sure to elicit conversation and draw looks. Street-ready and sleek, the Marley HI2 is reminiscent of the old school high-top style which was first seen in the 1970s. It’s made up of canvas along with a clean white sole that gives it a timeless appeal, ideal for any casual outing. Featuring a suede upper and a simple high-top design, the Match Hi is a must-have for an everyday casual style. Its collar has a slight curve to emphasize a quirky appeal, perfect for a subtle yet playful flair. Inspired by the look of a classic duck boot, the high-top Bailey 4 shoe is designed for those days when one has to brave the rainy weather. Its waterproof upper has been very popular due to its convenience, especially since the shoe has a very stylish appeal, a trademark of weatherized Tretorn sneakers. Aside from lifestyle Tretorn sneakers, the brand is also widely known for its rubber boots, which are stylish and appropriate for any type of weather. The company produces boots for industrial use, hiking, sports, and casual use. Popular rubber boots from the brand include the Spiktramp Pro, which is fast-drying and spacious and meant for construction work, and the Chelsea Classic. Like Tretorn sneakers, they are made for everyday use and are inspired by the brand’s heritage styles. Some other notable models include the Eva Lag, which is made for every day exploring, the Charlie Classic for walking in the city in rain and snow, and the 1960s Wings boot, which continues to keep generations of wearers happy. Tretorn sneakers are not as full of technology as models from other footwear brands. Instead, the company prefers to stay true to decades of tried and tested durability, quality, and craftsmanship. However, Tretorn sneakers also incorporate a couple of technological features to ensure comfort. The company is committed to preserving the environment, which is why they use Eco Ortholite for the insoles of Tretorn sneakers. It’s an environment-friendly version of the popular Ortholite technology. The process is bio-based, replacing the petroleum used in the foam by 20%. A substitute made of castor bean bio-oil is used instead. Long-lasting comfort is promised by Tretorn’s trademark Swedish Massage Teknology. All over the world, Swedish massage is favored for easing tired limbs and muscles, providing relaxation and relief. It’s been adapted in many spas and massage centers in a lot of countries. The brand made use of this in Tretorn sneakers by using molded EVA technology in the insole to deliver comfort like no other, especially for the long and hot summer days. Tretorn is known as an influential name in tennis. While it doesn’t receive as much fanfare as other brands, Tretorn sneakers are highly regarded in Sweden and the rest of Europe. The company has partnered with other creative brands and artists to bring about new looks for its shoes, especially for its legendary tennis sneaker, the Nylite. Below are the most notable collaborative Tretorn sneakers to date. Andre Benjamin or Andre 3000, half of the music duo Outkast, partnered with the company to create new looks for Tretorn sneakers, especially for the Nylite shoe. Growing up in Atlanta, Andre had a personal connection to the sneaker. For his collaboration with Tretorn, he took inspiration from his classroom daydream sketches to express his playfulness and artistry with the shoe as his canvas. In 2015, Tretorn partnered with Publish Brand to create an exclusive collection for the Philadelphia menswear brand Ps and Qs. The “Better Days” Tretorn sneakers collection consists of two distinctive looks for the Nylite sneaker. One is made of suede in a tonal sand color, while the other is made up of perforated leather in white along with a contrasting gum sole. It was released for the winter season. Based in Atlanta, menswear brand Sid Mashburn is known for making connections with different kinds of people. The couple behind the company, Ann and Sid Mashburn, partnered with Tretorn to put their unique spin on the Nylite model. Their Tretorn sneakers collection consists of different versions featuring various materials: Day-Glo, suede, chambray, and wool. The Yale-based J.Press brand also worked with Tretorn to create another version of the well-loved Nylite. With a new meaning to function, the brands introduced the Nylite Rubber together, adding it to the collaborative Tretorn sneakers catalog. Australian designer Florence Broadhurst was known for her eccentric styles and unique wallpaper designs. The brand made good use of her talent, showcasing her work on iconic Tretorn sneakers such as the Nylite. She created distinctive patterns that were specifically designed for modern living. Japanese fashion brand Comme Des Garcons is known for eye-catching urban styles, gracing the runways of Paris Fashion Week and headlining the trends for each season. It was only apt for the fashion label to try its hand on Tretorn sneakers, resulting in an exciting footwear collaboration. The brands worked together on low-top and high-top Tretorn sneakers, featuring white canvas with a black print for the design. Fellow Swedish brand Acne Jeans teamed up with Tretorn to recreate the footwear brand’s 1970s tennis shoes. The Acne Jeans Stroll Mid and Low Canvas Tretorn sneakers are perfect for any street style look for both men and women. It may be daunting for users to buy Tretorn sneakers online, unsure as they are of the right fit for their type of foot, or whether or not the shoe runs small or big, narrow or wide. This is why the brand has provided a sizing guide to better help consumers arrive at the best size for a hassle-free online ordering experience. Among other points to remember, Tretorn sneakers are made to fit true to size, so the brand advises buyers to get their usual size. Women who desire to buy a men's shoe can still acquire the model by sizing down by 1.5. This is an estimation, and there could still be a chance that the fit will not be perfect. What is the price range of Tretorn Sneakers? Although seen as a sophisticated company, Tretorn sneakers are not as pricey as luxury brands. Style staples such as the NylitePlus and other shoes in the Nylite low-top series are offered at budget-friendly price tags, starting at $70. Tretorn sneakers that are more technical and have upgraded features, such as the NyliteXAB4, have a slightly higher yet still affordable price, starting at $110. Slightly expensive shoes start at $140-$150, which include high-tops such as the NylteHiXAB. The most expensive Tretorn sneakers start at $250, which consist of recent collaborations such as with artist Andre 3000. One example is his striking, hip-hop inspired BostadXAB shoe. What is the meaning of the name Tretorn? Tretorn is a Swedish word that means "Three Towers." It's a tribute to the original factory building in Helsingborg, Sweden, which had three smoke towers. It’s where the company got its start in the shoe footwear industry by producing galoshes before creating Tretorn sneakers. Today, the Three Towers logo signifies more than just the rich heritage of the brand. Tretorn has made a space for it on their website where individuals can know more about the brand and the Tretorn sneakers that they love, starting with the three T’s: Trends, Tales, and Tradition. What is the aesthetic of Tretorn shoes? Tretorn sneakers are known for being functional and stylish pieces. This aesthetic also applies to the brand’s outerwear and rubber boots. Every product from the brand is made with a classic sense of style, yet it is loaded with enough functionality to make it as practical as possible. Tretorn sneakers are mainly known for being smart-looking. This is because the brand's footwear and clothes reflect sophisticated designs and smooth lines. Thus, Tretorn sneakers have been hailed as essential pieces for a preppy and elegant look. Does Tretorn have eco-friendly or charitable activities? Aside from using sustainable soles for Tretorn sneakers, the company has incorporated an eco-friendly program within their catalog. Meanwhile, the brand is also committed to illustrating corporate social responsibility by participating in charity drives and donations that will benefit many, especially creative individuals. Henry Dunker, founder Johan Dunker’s son, was known for his devotion to both his family and the business he inherited. He treated his employees as an extended family, giving them benefits that were considered well ahead of the times. The Henry and Gerda Dunker Foundation continues this legacy by giving back to the community of Helsingborg. Among others, the foundation has helped in building the Dunkers Kulturhus, the Helsingborg Concert Hall, the Kulturmagasinet museum, and the Helsingborg Stadsteater. The company is passionate about sustainable products, as seen by its use of eco-friendly cushioning on Tretorn sneakers. Eco Essentials is the brand’s line of sustainable rainwear, melding together the company’s rich past along with innovative circular fabrics. Its goal is to make responsible outerwear for the rainy season and marks the company’s start in its mission to protect nature and create a better future. In celebration of the 50th anniversary of the Nylite, the company commissioned 50 different artists from all over the world to express themselves on the blank canvas of Tretorn sneakers. The talented roster included Andre 3000, who created his unique take on the legendary shoe. All of the unique and creative Tretorn sneakers were auctioned off at eBay, with all proceeds going to the Art Start organization, which helps gifted artists to get a good start. What are Tretorn sneakers typically made of? As a predominantly tennis brand, Tretorn sneakers are usually made up of canvas for a soft, breathable and lightweight fit. Other materials frequently featured in the brand's footwear are leather, suede, rubber and different fabrics. The soles of Tretorn sneakers are typically constructed of rubber for durability and traction. In 1891, Johan Dunker founded Tretorn as a tire manufacturing business. 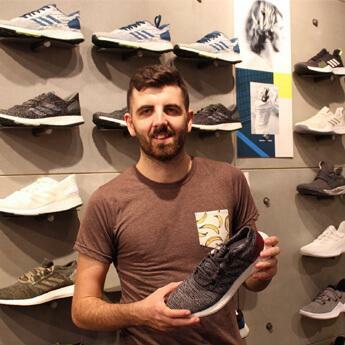 Shortly afterward, he brought his 21-year old son Henry to work as the brand's sole salesman. Henry would eventually inherit the business and build Tretorn into the shoe brand that it is today. During its early years, the company became known among the military and local population through the galoshes they produced, which are waterproof rubber covers that protect the shoes during inclement weather. Five years after its founding, the company celebrated the creation of its 1 millionth pair of galoshes. Soon, the brand became known all over Sweden as well as in Germany and Denmark. By 1902, Tretorn decided to diversify its products and began to produce bicycle pedals, hoses, and tennis balls. The latter became highly sought after due to the growing Scandinavian tennis scene at the time. With its pioneering reputation firmly established, the company then began to create Tretorn sneakers. In the 1960s, the brand came up with a tennis shoe, named the Nylite, which was hailed as the first luxury footwear for sports. It was so ingrained in tennis culture that it was eventually included in the Preppy Handbook, which turned it into a casual style essential. Tretorn sneakers are not only for tennis as they are also known for being a versatile choice for casual footwear. The brand also produced a new kind of rubber boot in the 1980s that were a big hit in the boating community. It became a new fashion statement across all of Europe. Now, more than 120 years later, Tretorn sneakers have developed a solid reputation for excellence in quality, innovation, and function. The brand is recognized for being the standard when it comes to sneakers, outerwear, and more. All of these products deliver a durable and comfortable feel. Dunker was so committed to his company and employees that he offered free healthcare to all of his 325 workers in 1911. It was a move that was very progressive during that time. He also installed a kindergarten for the children of his employees and provided childcare benefits. In 1938, the Swedish government introduced a legislation that gave employees 14 days of vacation leave. Going beyond this, Dunker also set up a vacation fund for his workers. Before producing tennis Tretorn sneakers, the company patented an innovative permanent pressure ball design in 1955. Continuing its innovation when it comes to tennis balls, the company introduced the first ball to feature micro-cell technology, the Micro X. It's pressurized and pressure-less, which means that it does not lose its performance or bounce even after some time. Tretorn also created the Serie+ ball, which is officially used by the ATP Challenger Series as well as by professional tennis players around the world. Aside from being the birthplace of Tretorn sneakers, the Helsingborg site is pioneering when it comes to women employees, with over 60 percent female workers. Every year, the brand produces over seven million Tretorn sneakers.